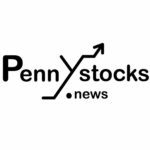 Vancouver, BC — October 24, 2018 — InvestorsHub NewsWire — MGX Minerals Inc. (“MGX” or the “Company”) (CSE: XMG / FKT: 1MG / OTCQB: MGXMF) is pleased to announce its wholly owned subsidiary ZincNyx Energy Solutions Inc (“ZincNyx”) has signed a Strategic Partnership Agreement with Braingrid Coproration (“Braingrid”) to co-develop and market a packaged energy management product offering for the cannabis cultivation market. The partnership will leverage Braingrid’s software and technology, which uses proprietary sensing and control hardware and ZincNyc’s modular energy storage systems, which provide scalable regenerative zinc-air flow battery for mass storage of energy, to provide cannabis cultivators with renewable solutions for cultivation. ZincNyx and Braingrid have agreed to sign a Definitive Agreement within the next 60 days. As noted by Braingrid, cannabis cultivation sites are growing exponentially in cultivation square footage. The electrical grid is incapable of supplying the demand or storing excess renewable production, especially in rural areas. Ideal cultivation zones which have inexpensive land and low community impact do not have access to the electrical grid to support the operation. Energy efficiency is too complicated and costly but at the same time, low cost energy solutions are required. Cannabis cultivators intending to survive the upcoming oversupply and the resultant “race to the bottom” will need to become extremely rigorous in reducing the cost per gram. Therefore, cultivators who have a fiscally driven understanding of their energy “footprint” and are independently autonomous from utility market prices through local storage and cogeneration will ensure their viability now and into the future. Electricity prices range from ~7/kWh(CAD$) to more than 15/kWh(CAD$) with more than of cannabis cultivators paying ~14/kWh(CAD$) base. Peak demand charges greatly increases these costs.